What’s a Cloister? 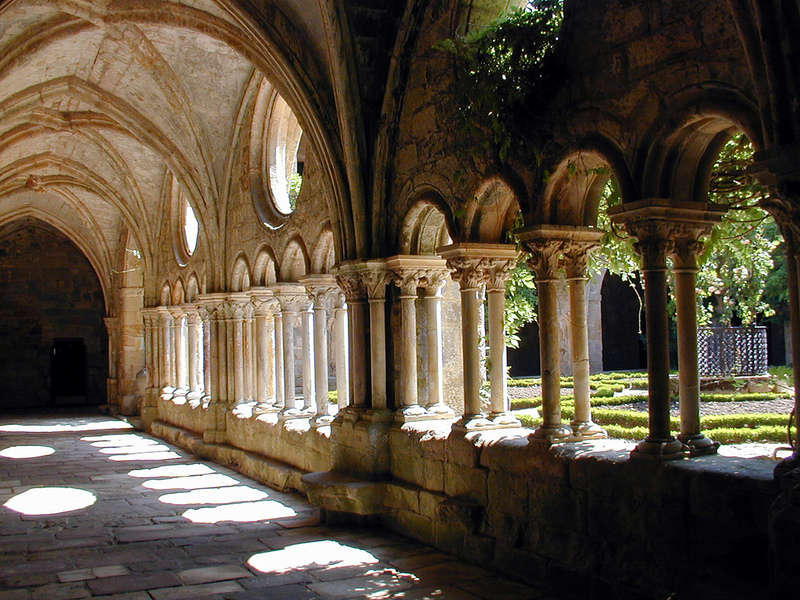 Imagine a courtyard in a convent, monastery, college, or cathedral, with an arcaded walkway around each side. 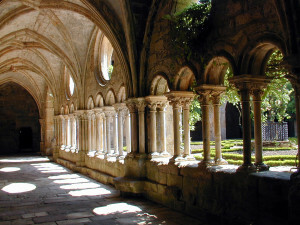 If you’ve ever visited a cloister, you know how beautiful, and even sacred, the space is. It is the heart of a monastery. That’s what came to mind when we saw that God seems to be building up small groups of AFFN members and friends across the country: For us, a Cloister is also a sacred space– a retreat– a place to come for spiritual nourishment, and a time and place to be replenished. Our Cloister is about people gathering to talk, share, learn, and spend time with like-minded folks. 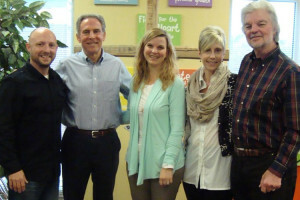 Our first AFFN Cloister– the inaugural group– sprang up in Charlotte, North Carolina (right). There is another vital and active Cloister in Kentucky, and we have another (or two) springing up in Sacramento, California. Want to learn more about specific Cloisters (leaders, materials, etc.)? Please click here. 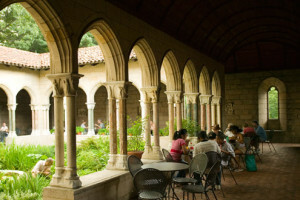 What we hope our Cloisters will do: Right now our Charlotte Cloister gathers about once a month to share a meal, talk Ancient-Future worship and spirituality and theology, and listen to a featured guest. Sometimes other special guests visit virtually via the internet. But the main thing we hope Cloisters will do is build friendships and fellowship. Early on, one of our goals for the Ancient-Future Faith Network was to develop close, caring, and accountable relationships among our members. We’re hoping and praying that a growing number of Cloisters will be an important part of that process. Learn ways that Ancient-Future theology and renewal can be meaningfully applied in many denominational and non-denominational contexts. Encourage people to join the Network and share articles, resources, and materials with other members. Extend pastoral care and concern to members and friends of the AFFN. Develop Cloister groups in throughout the U.S. and in other countries (We have members in Canada, Europe, and Australia). Would you like to learn more about how you might form an AFFN Cloister in your area? Want to hear about other like-minded people near you who might want to get together? Please let us hear from you (email at: info “at” ancientfuturefaithnetwork “dot” org).